Welcome to Texas Water Law.com – the online home of R L Wilson, P.C. Law Firm’s water rights practice. Headed by attorney Trey Wilson, R L Wilson, P.C. 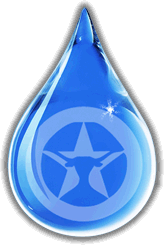 Law Firm of San Antonio maintains one of the leading water law and water rights practices in the State of Texas. Over the years, we have represented water interests throughout the Lone Star State, and our client base encompasses virtually all stakeholders in the water industry. RLWPC’s clients include water districts, Article XVI § 59 water authorities, political subdivisions, non-profit water supply corporations, special utility districts, investor-owned utilities, landowners/ranch owners, water well drillers, individuals and major corporations. We provide judicious water rights advice and counsel in the board room, and fierce advocacy in the courtroom. Although it has been more than one hundred years since the Texas Supreme Court characterized the movement of groundwater as being “so secret, occult and concealed” that regulation would be “practically impossible,” the rapidly-changing and increasingly-complex laws governing water in Texas remain as mysterious as ever. RLWPC’s vast water law expertise enables us to elucidate this cryptic practice area and provide optimum representation in water-related legal issues. If you’re thirsty for more knowledge about our water law practice, please browse the pages on this site and Trey Wilson’s Texas water attorney blog. To learn more about RLWPC’s broader legal practice (including our real estate and construction practice), visit our flagship site, sa-law.com.